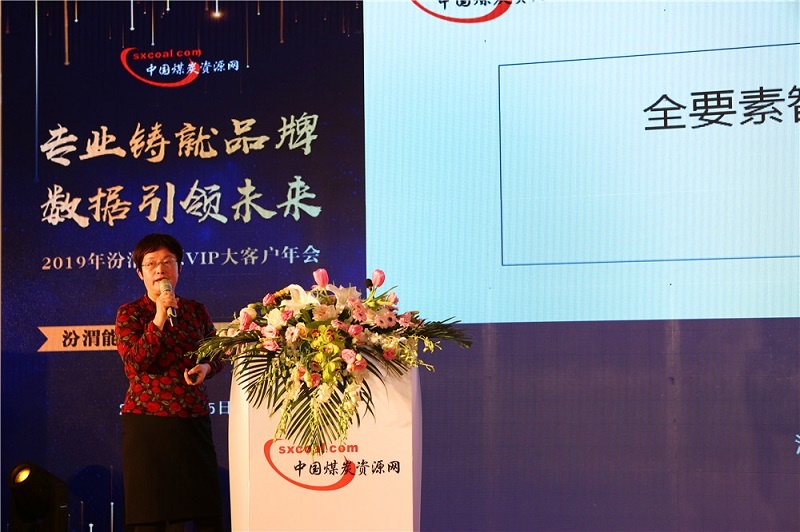 China's leading coal consultant Fenwei Energy Information Services held its annual year-end party meeting with VIP clients in Taiyuan, the capital city of coal-rich Shanxi province on January 25. 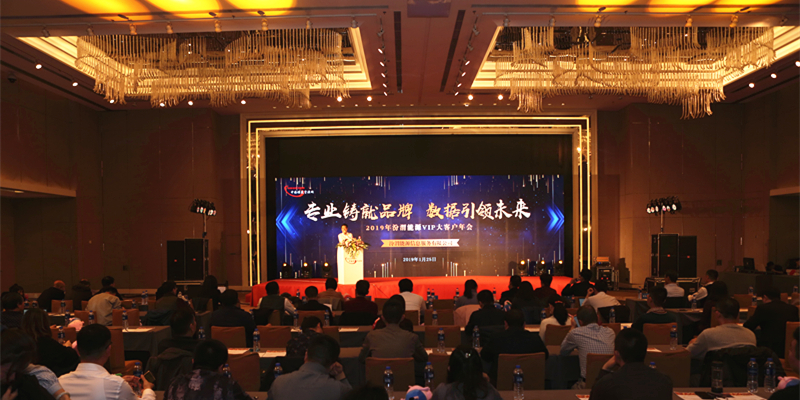 The annual party, themed on profession and data driven future, presented a review on the achievements Fenwei has made over the past year and its strength in further moving forward in the combination of professional expertise and big data. Representatives attending the annual meeting mainly come from Shanxi Coking Industry Association, Shandong Coking Industry Association, Shanxi Economic and Information Technology Commission, Shanxi Administration of Coal Mine Safety, CHN Energy, China National Coal Group, Datong Coal Mine Group, Baoshan Iron and Steel Co., Ltd, Shanxi Coking Coal Group, China Huaneng Group, China Huadian Corporation, Xcoal, etc. 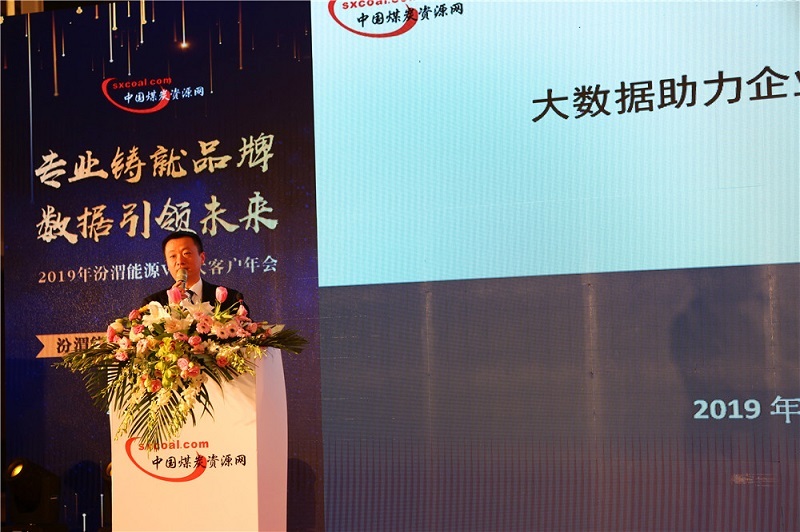 President Chang Yijun delivered a speech on the core competitiveness and future development of sxcoal.com, a coal industry portal established by Fenwei. Fenwei, since its establishment in 1998, has been providing customers with services in consulting, analytics, technical solutions and benchmarks in coal and related industries, introduced Chang. 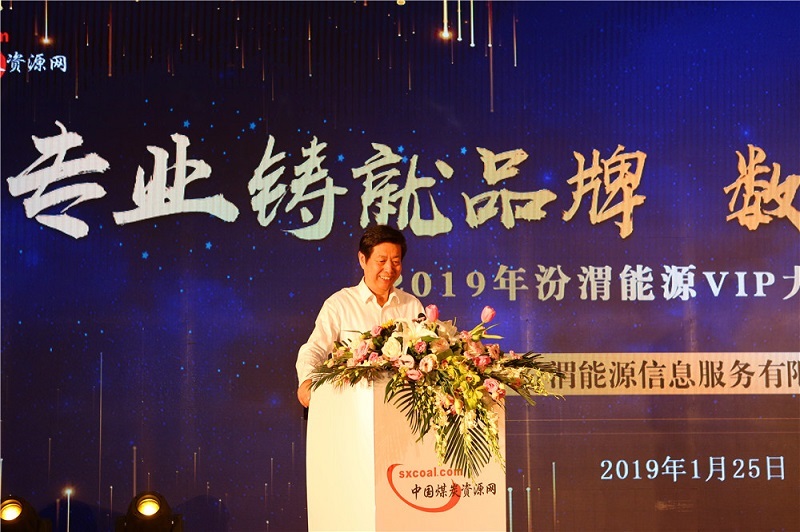 The Fenwei data systems, including its exclusive CCI index, all-factor intelligent coal blending system and 42-day coal and coke price forecast system, will better help domestic and international clients in market exploration and decision making in the years ahead, he pointed out. 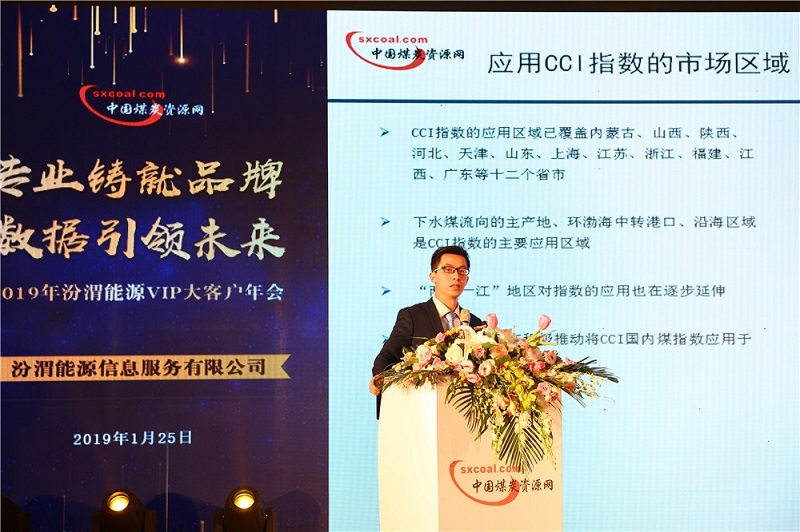 The Fenwei CCI Index has been adopted by 69 companies – 42 trading companies, 10 producers and 17 end users – in contract settlement and spot offers/bids, according to Eric Zeng, vice general manager of Fenwei. About 10.14% of the 69 firms have annual trade scale above 50 million tonnes, 30.43% above 10 million tonnes, 44.93% over 2 million tonnes and the remaining 14.5% below 2 million tonnes, Zeng elaborated. Their total trade volumes are estimated at 543 million tonnes a year, equaling daily trade of 1.49 million tonnes. Fenwei has been actively exploring big data-based application, including the intelligent coal blending, dynamic resource database, production control and inventory management, said General Manager Luo An. This has enabled firms to realize smart management, helping lower production cost and improve efficiency by optimizing coking coal blending formulas in coke-making and adjusting purchase strategy timely, noted Luo. The all-factor intelligent coal blending system, developed by Fenwei in collaboration with Shanxi Institute of Coal Chemistry under Chinese Academy of Sciences, Taiyuan University of Technology and Shanxi Taigang Stainless Steel Co., Ltd., can help firms upgrading coking coal blending for coke production with more than 30 parameters compared to only five parameters traditionally, introduced Qi Hongtao, chief engineer of Fenwei. Since its founding in 1998, Fenwei has been committed to studying the correlation of coal price and supply-demand influencing factors. From the supply-demand model in 2008 to the present big data forecast model, the system, through upgrades in calculation methods, has evolved from judging the up or down-ward trend to predict the extent of price rise or drop, with constantly growing accuracy. By studying correlation between coal price and influential factors, the forecast model helps enterprises improve their pricing mechanism and enhance their ability to understand and predict the market. Bohai-rim 5,500 Kcal/kg NAR thermal coal price averaged 594.6 yuan/t FOB with VAT in the week ending January 23, and is predicted to slide 9.94 yuan/t to an average of 584.66 yuan/t FOB over February 28 - March 6, showed data from the 42-day price forecast system. The price of low-sulfur primary coking coal, which was 1,634.55 yuan/t ex-washplant with VAT on average in the week ended January 23, may dip 15.42 yuan/t to 1,619.13 yuan/t for the week as of February 27. Price of Quasi Grade I met coke is forecast to rise from 2,050 yuan/t to 2,057.04 yuan/t FOB with VAT Rizhao of Shandong by the week ending February 27.